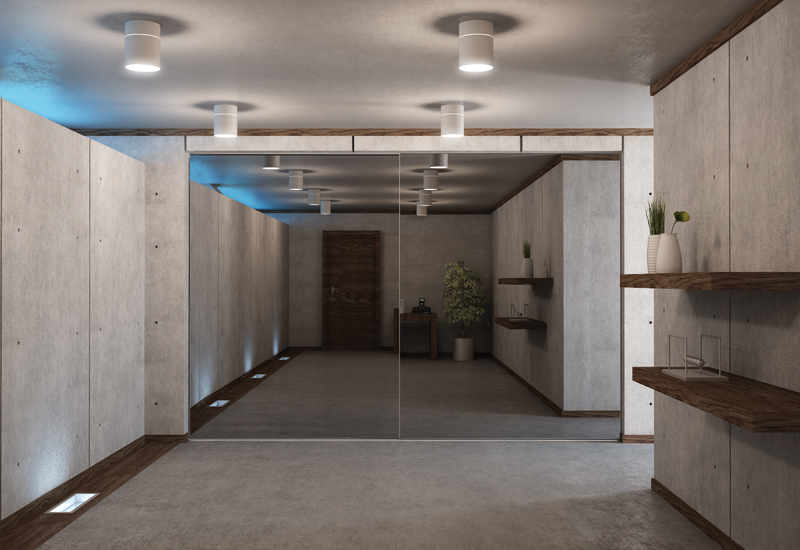 Individually Designed and Unique Sliding Wardrobe Doors at affordable prices. Have been searching for doors that are a cut above the rest? 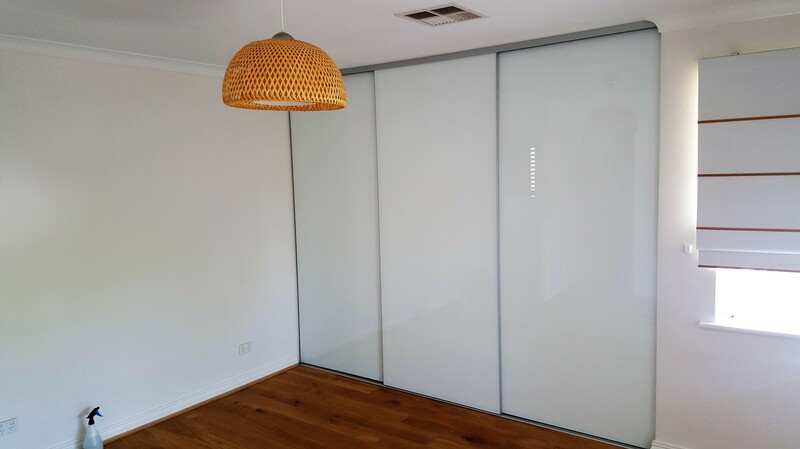 Since introducing these doors to the West Australian Market we have had tons of positive feedback. 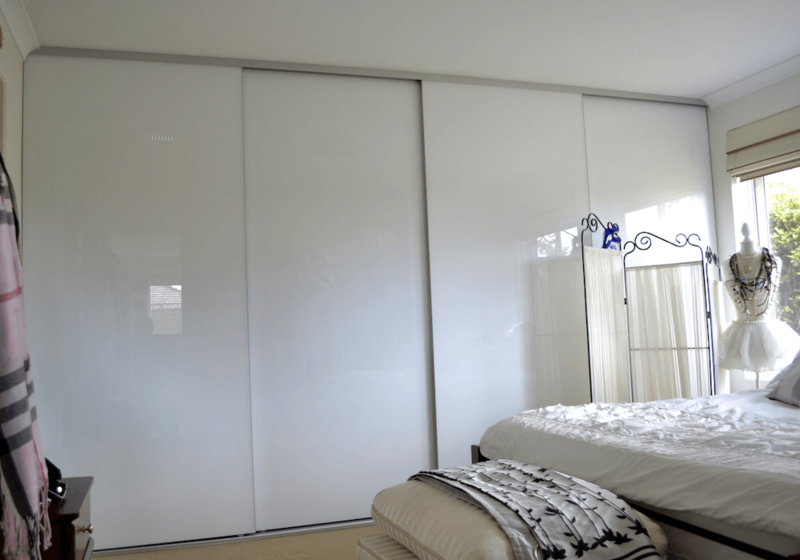 You too can create an elegant and stylish room with a Premium Frameless Sliding Wardrobe Door system. 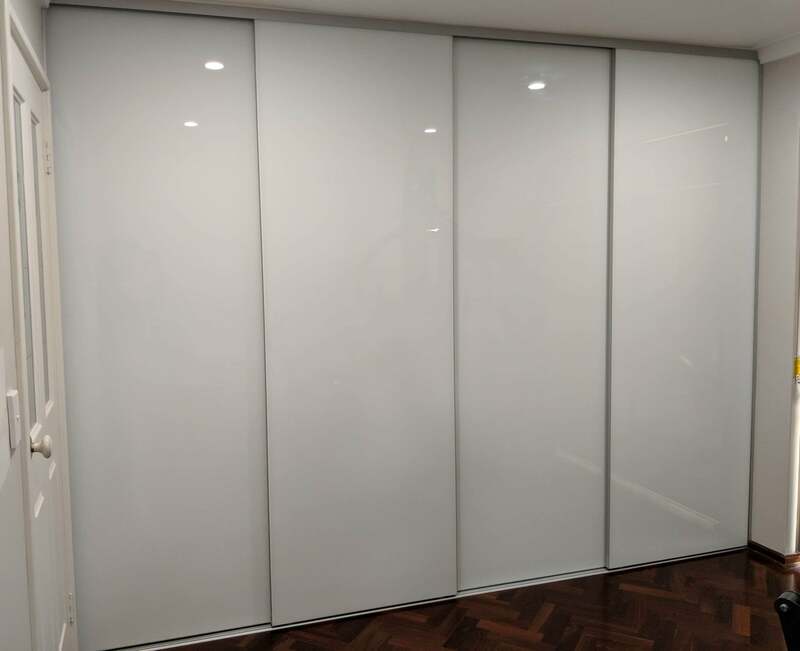 This doors system is a Modern Contemporary appearance and can be made to most Australian Sizes. We custom make every door in our Wangara Factory so no need to worry about doors not fitting your recess size. Whether you use 4mm mirror or 4mm Low Iron White Glass we have all the glass cut to the exact size required and then edges arised and Polished, this ads to the premium look. With four wheels at the top of every door and two quality wheels on the bottom, this design will ensure super smooth quiet running for years to come. The track even has a hidden positioner to ensure the doors always close to the same position. The bottom track is a Low Profile Foot-friendly track which is only 56mm wide. This track has proved to be a real winner in small or tight recesses where you want to minimize the space taken up by your doors. The doors can be built to a range of heights including 2700mm high recesses. This is subject to the door size and weight of the doors as we do not want to overload the wheels. All our doors come with our standard 10 year Guarantee on frame and components. We can also do other coloured glass on special requests. If you are building or renovating the Frameless Doors will create a design statement like no other. Now on Display in our showroom. 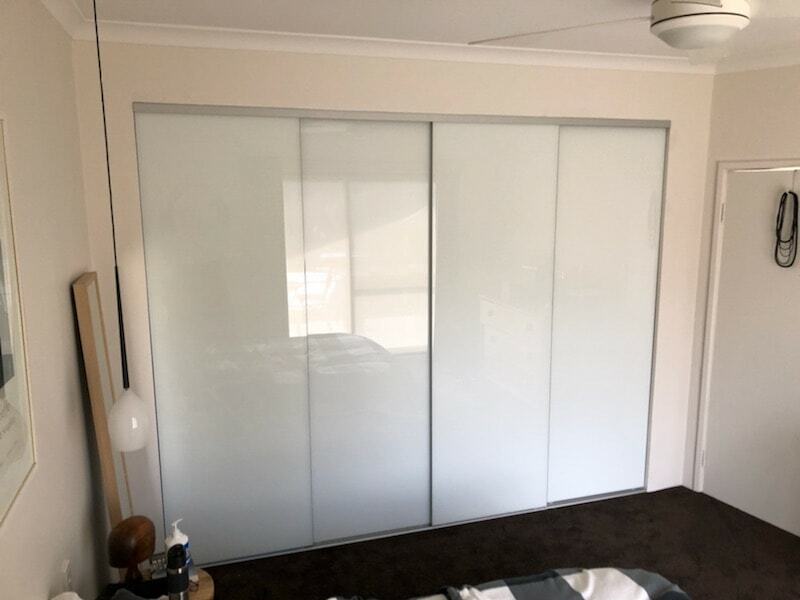 Visit Perth's best display of sliding doors.